In the New Testament, the gospel is never given “in a vacuum.” That is to say, we don’t find generic presentations of the gospel as a set of statements. 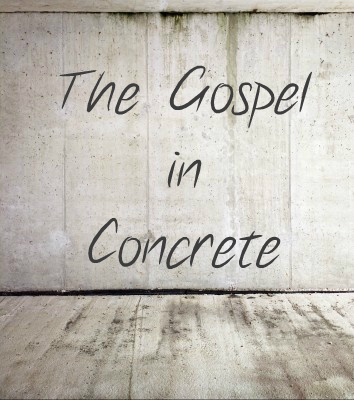 Instead we find the gospel being applied to concrete situations: real people, real churches, real issues. God didn’t give us a standard version and then leave the application to us. Instead we were given a set of case studies where we can observe the apostles engaging real life situations with the gospel. We see the church being split by a form of gnosticism in 1John, a different form creeping in in Colossae, the young believers under pressure from the antagonists around them in Thessalonica, the self-confident yet worldly church at Corinth, the divided churches of Rome, the threat of false-Law-teachers in Galatia, the discouraged by pressure believers addressed in Hebrews, etc. 1. The apostles don’t respond to down-to-earth issues with mere down-to-earth instruction. You won’t find an epistle that just says, “here is how to act like Christians, pull yourselves together and just try hard, do the right thing and the feelings will follow…” Instead we find the apostles responding to sometimes very human issues with an application of theological reality. They certainly do get specific and practical, but always on the back of, or in association with, doctrinal instruction that needed to be grasped or reaffirmed. To put this in terms of relevance to today, just pressuring people to act appropriately is never appropriate. They need to be gripped by the reality of who God is and what He has done/is doing. They need to see themselves and the gospel clearly. 2. The apostles never assume the believers all know the basics. I could imagine some of us today writing a contemporary epistle along these lines: “Okay, so we all know who God is and what the gospel is, of course, so let’s get to the nitty gritty . . . ” The apostles didn’t do that. Even after spending months or years teaching in a church, they still chose to reinforce and re-communicate the truths of the faith. Why? Perhaps because they knew people didn’t easily grasp the wonderful realities of the gospel.